In older cities, sewage pipes bursting is a common problem. These problems often lead to foul stenches being released, as well as compromising the efficiency of the system. At Pipe Surgeons, we encourage sewer pipe lining as an alternative to replacing entire sewer pipeline systems. PIP method involves pulling a new pipe inside the old one. Plumbing technicians insert a liner made of resin and fiber from one point and pull it into place from a second access point. The liner is then hardened by heating the pipes. The CIPP method involves repairing cracks by adding an inflatable liner inside the existing pipe. The inflatable liner is made from epoxy resin that hardens when it sets inside the pipes, creating a new pipe inside the original. This method involves patching the existing pipes without damaging or removing them. Sewer Pipe Lining is the least disruptive method to repair sewer pipes. There is no need to dig trenches in your backyard, garden, or driveway. Plumbers will use one access point, and they may not need to enter your home. Sewer Pipe Lining saves money. Our plumbing technicians save you the trouble of digging throughout your home to replace the pipes, saving you from repair costs on reconstruction. Sewer Pipe Lining employs new pipes that work more efficiently and smoothly than the original concrete or clay pipes. Sewer Pipe Lining offers a seamless new pipe within the old one. 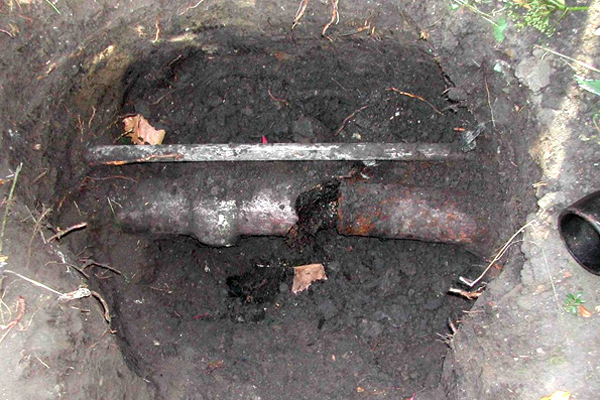 Since there are no gaps in the new pipe, this prevents tree roots from intruding and impeding the flow of the pipe. Sewer Pipe Lining includes a 50-year life expectancy, with a labor warranty of 5 years as well. This eases homeowner’s worries by ensuring that their pipes won’t need to be repaired again. Need more assistance? At Pipe Surgeons, we are always ready to help Ft. Lauderdale, FL residents make the best choice for their sewer pipes. Call us to get a quote for sewer pipe lining at your home. You know that a company cares about the quality of their work when they stand behind it. We have some of the best Ft. Lauderdale sewer pipe repair and pipe installation warranties and guarantees in the industry because we know our staff and our products are the best in the business. Our passionate technicians are friendly, clean, polite, drug-free, and experienced while both our parts and products are state-of-the-art—guaranteed!